Since I didn’t want to bombard you with two of those tags on the same day, here we are again a little later! I was tagged by Keira @Signing On to do the New Year’s Resolutions Book Tag (which was originally created by Embhulee Liest and Shivii @browneyesmusings) and again, I know that I am not super early with this in the year, but I also refuse to think that mid-January is too late. Keep those questions coming! GET IN SHAPE – Name a book that doesn’t quite fit on your shelf correctly! It’s not so much the shape, but more like the colour of a book that simply doesn’t fit. I have the entire Sookie Stackhouse series and I know that the last one is bigger because it is from a different publisher, but why is the penultimate book white? WHY!? EAT HEALTHY – Name a book you feel was good for you to read! 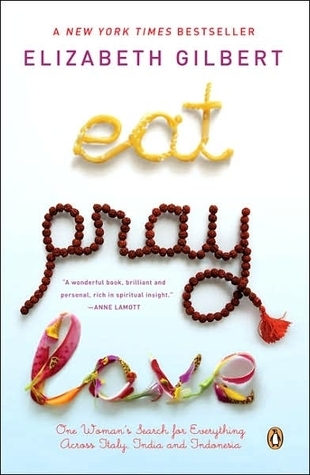 There were a couple of books in my lifetime that I think have tended to open my eyes and made me feel good or different afterwards, but the first one that came to mind now that the question was posed was Eat, Pray, Love by Elizabeth Gilbert. It made me realise that it’s okay to not know what happens next. It is okay to want something different and to take a step back to take a look at your life and find what’s missing. Also, it really sparked my wanderlust again! READ MORE – Name a book you keep telling yourself to read but haven’t yet! 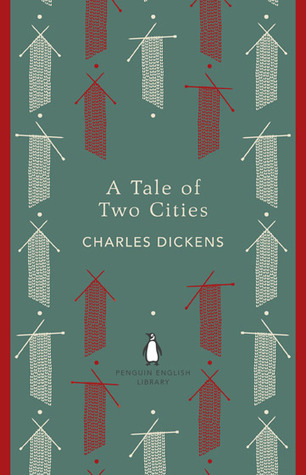 A Tale of Two Cities by Charles Dickens! I can’t get past the first sentence/paragraph and I have had this book for a while now. I sometimes feel like I just don’t have the patience or attention span for classics … maybe it would be better if I got it as an audiobook, but I am not sure. QUIT SMOKING – Name a book you kept going back to even though you had finished it! I am really not big on re-reading … in fact, I can’t think of a single book that I have read back to front more than once … I sometimes went back to check on some quotes in the Inkworld Trilogy by Cornelia Funke and probably some other books too, but that’s really it. SAVE MORE MONEY – Name a book you got for a really good price! 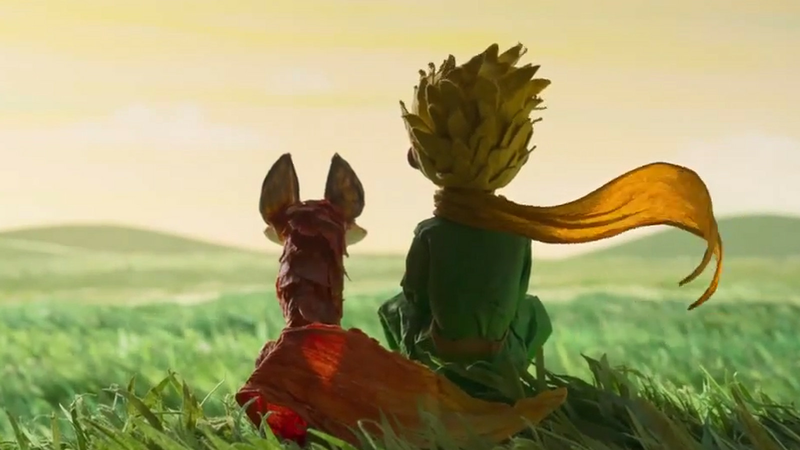 My French copy of The Little Prince only cost me like 2 bucks! YAY! That was a real bargain, but it was also a used copy where someone had written some vocab on top of words. Seen as French is not my native language, not even really my second one, that didn’t really bother me at all, it was actually helpful sometimes! BE MORE ORGANISED – How do you organise your bookshelf? BE PUNCTUAL – Shortest time and longest time it took you to read a book! I can’t remember which books they were exactly but shortest was a couple of hours and longest was several months. GO OUT MORE – What book isolated you from reality? Again, I think a lot of books have managed to do that, but I feeling like I was on a different plane of reality after finishing The Night Circus by Erin Morgenstern. That book completely and utterly enchanted me and I know that it’s not everyone’s cup of tea, but I was transfixed and didn’t want to leave that world. 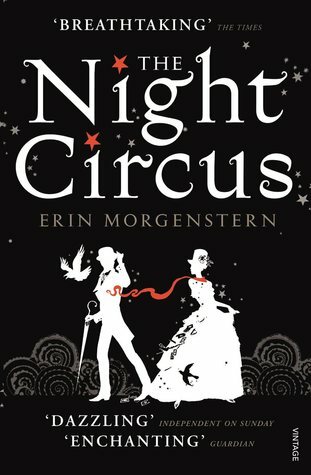 I am still hoping to read more about the circus one day, but it doesn’t seem like the author has a sequel in mind, so instead I am waiting for a movie! BE UNIQUE – What was your favourite book of 2015? BE MORE PERSONAL – What book are you most looking forward to this year? 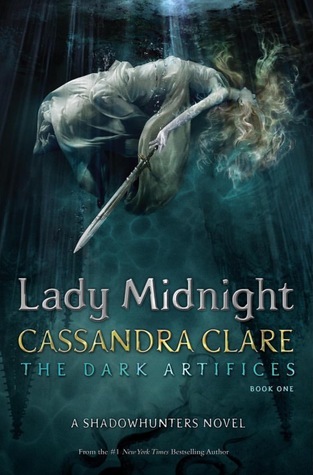 I am certain it is going to be a great year for books once more, but I cannot help but be drawn to the Shadowhunter world that Cassandra Clare has created, so I am going with Lady Midnight. It focuses on the parabatai bond and since that is an aspect of that particular universe that always intrigued me the most, I can’t wait to read about it! REALLY, RESOLUTIONS – Which book do you promise to read during this year? I just answered this the other day and would therefore like to refer you to that post. Just click here to see it! If you feel like doing this tag, consider yourself officially tagged to do it! Also, leave a link below so I can see it! I can only recommend The Night Circus! I love that book! The Inkworld trilogy is something I read when I was still younger, but I guess it still counts as YA and not a children’s book. It’s about a man who can read things out of books and his daughter inheriting that gift, but it turning out to have quite the consequences sometimes. The first book was definitely the best one. Thank you! I love my book wall but it’s definitely not as organised as it could be. Night Cricus has been in my TBR for a while. Maybe I’ll read it this year! Hope you find a way with your bookshelf, I love organising mine but it’s not as big as yours! I expect photos when you have your dream shelf!!! Hahaha yeah, I wasn’t expecting you to accomplish that THAT quickly! Haha, that’s kind of expensive yay, but imagine, shelves built exactly the way you want them to be. How amazing would that be?! I’ve got the same problem with Sookie novels 😀 only in Polish editions all covers are light gray with these great designs of faces, hands, fangs, all with specks of blood. But the 2nd book is black… with a picture from the TV show… Who thought that might be a good idea??? Why would people do that? I don’t know who thought that up! I hate it when covers don’t fit together! All mine are the TV editions, so I thought they would fit together .. but no! Right? That might actually work! It’s worth a try once I am in the mood for it. 😀 you’ve been reading so much this month! you’ve already started Red Rising, right? Red Rising is so intriguing, but it started out quite grimm. Reading different books right after one another, I always need a little time to acclimatize and get into the new story. that’s normal, that why I try to intercalate genres (or at least write the review before starting the next book, that way my thoughts are all wrapped up nicely). I’m curious about that book, but I think i’ll wait for the whole series to be out. I know that I shouldn’t but I will probably buy books soon again, because I want to read the Shannara Chronicles so bad! They have the TV cover for 7 bucks, so I want to get that, but I am scared now that they will send the wrong one again … the normal one is so ugly. will you start with book 2, like the tv series? i read that the first book is not that good, right? Hahaha I have no idea! I just want to read about Wil and Amberle which is why I want to start with book 2, because they are not in book 1. It definitely has the lowest ranking on Goodreads of the three, but I don’t consider 3.75 to be all that low. Right? Still, I want Wil and Amberle too much to read the first book first. I am not allowed to order books though until I have only 2 more physical books on my current TBR (so, not including the ones I have had at home forever and still haven’t read). It’s my new rule, unless they take weeks or months to order. Lol, it looks like a good rule 😄. Are you still thinking of buying an ereader? Oh I AM going to to buy an eReader, but I want to wait until it’s on sale again. hmmm, that’s smart :P. have you decided on which one? Probably a Kindle Paperwhite. But I haven’t decided whether I am going to take the one with 3G internet or the one with wifi only. I like the lighted screen. The normal Kindle doesn’t have that according to the stats on Amazon. it doesn’t. it’s like actual paper, that why i love it so much :D. When I bought mine I wasn’t sure if the lighted screen wouldn’t make my head hurt – because reading on the PC and tablets does – so I opted for the closest thing to paper. Though I think that the lighting that the kindle paperwhite has is great. is it on colour? The light is very soft and indirect on the paperwhite. My cousin has one and it’s easy on the eyes because of the matted screen, which tablets and PCs don’t have. I am not sure about the colour though. I think so. Same about A tale of two cities hahahaha ! Hopefully I’ll read it in February… Or March ? Hahaha good luck with that! I think it will just happen whenever it happens now! What a fun tag! The Martian was also one of the best books I read last year!!! My love for it totally surprised me! I wasn’t sure it would be the right book for me, but then I didn’t even want to put it out of my hands. I just loved it that much. I know! It’s such an unlikely book for me to love as well!! I am so glad we both gave it a try though 🙂 after all it turned out for the better! Oh I’m planning to read A Tale of Two Cities later this year for my Classics challenge. I barely have patience for Dickens but I’m trying to push myself this year! I am all for you reading The Mortal Instruments!!! Have you read the Infernal Devices? They were even better in my opinion! Yeah I will probably read it with the audiobook to help me through it. I’ve read extracts from his others books and I was so lost! I hope I can get through this one. I’m planning to read the Infernal Devices this year around Feb-March. I’m having to organise when I buy books now so I don’t go overboard! I get that! Classics in general are really tough for me sometimes. That’s great! I can’t wait to hear what you are thinking of TID! I have to organise my book buying as well. I currently vowed not to buy another book, until I only have 2 more physical books on my current TBR. I am at 4 books at the moment, so I am not allowed to spend money. I can’t wait to read them. There is so much hype around them. I liked the first three books of TMI but I didn’t love them, so I wasn’t sure if I wanted to read TID, but then I adored them. I know it sounds lame, but they have the best love-triangle ever. I heard the TMI is an alright series why TID is amazing that’s why I’m buying the latter. And that’s good because I’m a sucker for love triangles. That’s great Kat! I think everyone is doing good with their TBR. I think it’s New Year buzz. You can create s library with the amount of books you have. TMI really picks up in the last third books of the series, but you are right, TID is generally considered as better 🙂 since it is sort of a prequel anyway, it isn’t a bad idea to start with it! Yeah, I think that may have something to do with it! Hahaha I don’t think I have THAT many books just yet. But if I ever earn enough money, I do intend to have a room in my house just for books. If TMI don’t come into the library I’m just going to start on TID. That’s like every bookworm’s dream, to have a personal library! If only I had the space and money! And that is every bookworm’s problem: space and money and maybe also time. I will steal this tag from you, just FYI. And, also, I am totally jealous of your tall bookshelves. Mine are short and stumpy and don’t look good for photographs. My bookshelves do have a great height, but the longer I look at those pictures, the more I want to reorganise it. I get that. Same with my bookshelves…the longer I look, the worse they seem. I was so frustrated with them, I put them all out of my shelf, but now I don’t know how I am supposed to put them in again … it’s driving me mad! Oh, yeah. What do you have it as now? Alphabetically? Thank you! The Martian is the best 🙂 I can only recommend it! I just can’t reread it, I cannot concentrate on the story and I get easily bored if it is too familiar. I am really excited for Lady Midnight too, but it’s going to have Emma and Julian from TMI in it. Who from TID will make an appearance? I was supposed to read A Tale of Two Cities at school… and I never finished it. It was awful.